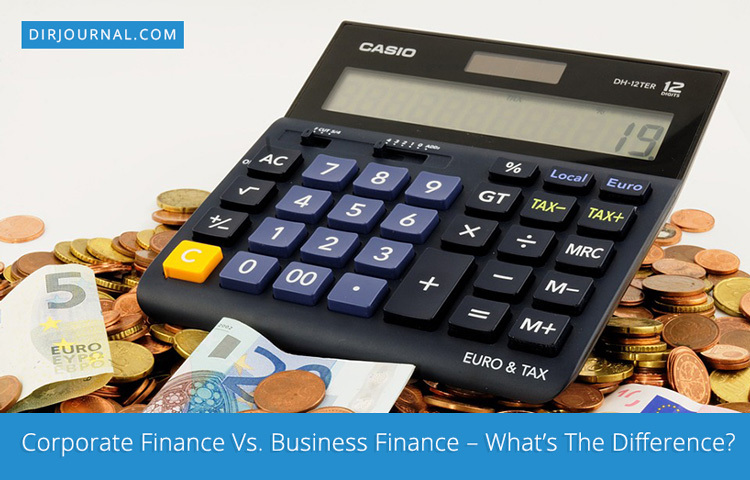 Home Business Corporate Finance Vs. Business Finance – What’s The Difference? If corporations are businesses and some business are corporations, then shouldn’t corporate finance and business finance be the same thing? Well, not really. Even though a corporation is technically a business, there’s a different type of finance that applies to a corporation than say, a sole proprietorship. Confused, yet? Hang in there. A more thorough explanation is coming. Corporate finance deals with the financial decisions that a corporation makes in its day to day operations. It focuses on using the capital the corporation currently has to make more money while simultaneously minimizing risks of certain decisions. The ultimate goal is to increase wealth of the corporation’s shareholders. Initial Public Offering, or IPO, is when the corporation makes its first sale of common shares on a public stock exchange. An IPO’s primary goal is to make money for the corporation. As you may discover through a business directory, some choose to remain privately invested companies and never have stock that’s traded on a public exchange market. Corporations often plan their investment portfolio in short-term and long-term increments. In the short-term, money markets are the primary investing market. Some common money market instruments are certificates of deposits, commercial papers, federal funds, municipal notes, and treasury bills. Capital markets are used for longer-term investing. The capital market includes the stock and bond markets. In corporate finance, the company makes decisions about the projects that will be invested in. To determine which projects are profitable and which are not, the company goes through a valuation process to estimate the value of the project. Projects are assigned an NPV, or net present value, based on the expected cash flow from the project. Projects also have a risk associated. These risks must also be evaluated to determine whether the project is a worthy investment. Projects with a high NPV and high risk might lose out to a project with a medium NPV and low risk. Remember, the primary goal of the corporation is to provide value for the shareholders. High risks will keep the company from achieving its goals. As such, projects with high risks (that can’t be mitigated) will often be forfeited for more attractive projects. Mergers and acquisitions are another part of corporate finance. Companies often have financial reasons for combining with another company. While it may be direct or indirect, ultimately all mergers and acquisitions are to affect the corporation’s bottom line. When a company is merged or acquired it’s usually done at market value. The “acquiring” firm has the hope that the result of the merger/acquisition will exceed the premium of the purchase. Merger and acquisition decisions are treated as other project decisions with a valuation and risk assessment being made prior to purchase. Excellent post. I’m doing some research on this subject and the article cleared many things up for me…greatly appreciated post!